Dr Stefan Hill specialises in the area of Solid State and Solution State NMR of organic materials and Synchrotron based X-ray diffraction techniques for nanostructure investigation and determination. 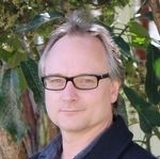 He is a member of the ISO workgroup for the preliminary work item (PWI) of the cellulose elementary fibril, entitled “Nanotechnologies – Characterization of cellulose elementary fibril samples” (ISO TC 229 JWG2) and a member of the Standards Australia Committees and Joint Standards Australia/Standards New Zealand Committees (NT-001-01-02). Sorieul M, Dickson A, Hill SJ, Pearson H. Plant fibre: Molecular structure and biomechanical properties, of a complex living material, influencing its deconstruction towards a biobased composite. Materials. 2016;9:618 doi:10.3390/mz908618. Newman RH, Franich RA, Meder R, Hill SJ, Kroese H, Sandquist D, Hindmarsh JP, Schmid MW, Fuchs J, Behr VC. Proton magnetic resonance imaging used to investigate dewatering of green sapwood by cycling carbon dioxide between supercritical fluid and gas phase. J Supercritical Fluids. 2016;111:36–42. Torr KM, Love KT, Simmons BA, Hill SJ. Structural features affecting the enzymatic digestibility of pine wood pretreated with ionic liquids. Biotechnol. Bioeng. 2015;113:540–549. McDowell RW, Hill SJ. Speciation and distribution of organic phosphorus in river sediments: a national survey. J Soils Sediments. 2015;15:2396–2379. Donaldson LA, Kroese HW, Hill SJ, Franich RA. Detection of wood cell wall porosity using small carbohydrate molecules and confocal fluorescence microscopy. J Microsc. 2015;259:228–236. Lu F, Karlen SD, Regner M, Kim H, Ralph SA, Sun R-C, Kuroda K, Augustin MA, Mawson R, Sabarez H, Singh T, Jimenez-Monteon G, Zakaria S, Hill S, Harris PJ, Boerjan W, Wilkerson CG, Mansfield S, Ralph J. Naturally p-hydroxybenzoylated lignins in palms. Bioenerg Res. 2015;8:934–952.